How to source Leads using the Chrome Plugin? 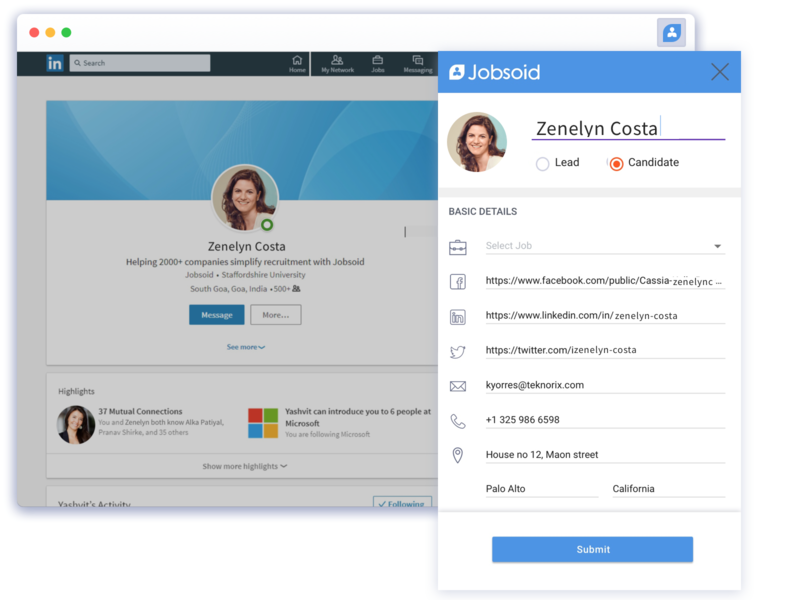 Jobsoid allows you to have rich profiles of your potential candidates automatically created without the involvement of any import or manual data entry tasks. 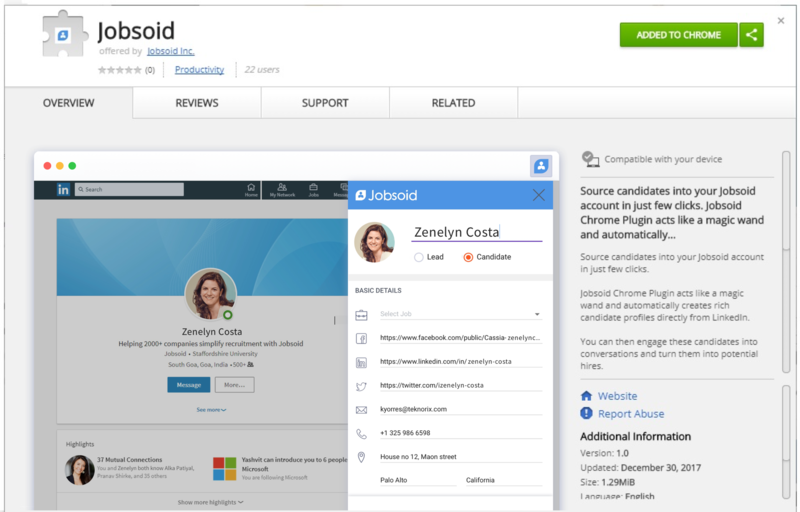 Using the Jobsoid Chrome Plugin, you can source potential candidates as leads into your Jobsoid account by simply visiting their LinkedIn profile. In order to use the Chrome Plugin, you will be required to add it to your Chrome browser. Now from the Chrome Web Store click on Add to Chrome button in the top right corner of the dialog. The plugin will be successfully added to your browser. You can access the details of the newly sourced candidate in just one click.